April 24th marks the 21st birthday for the Hubble Space Telescope. 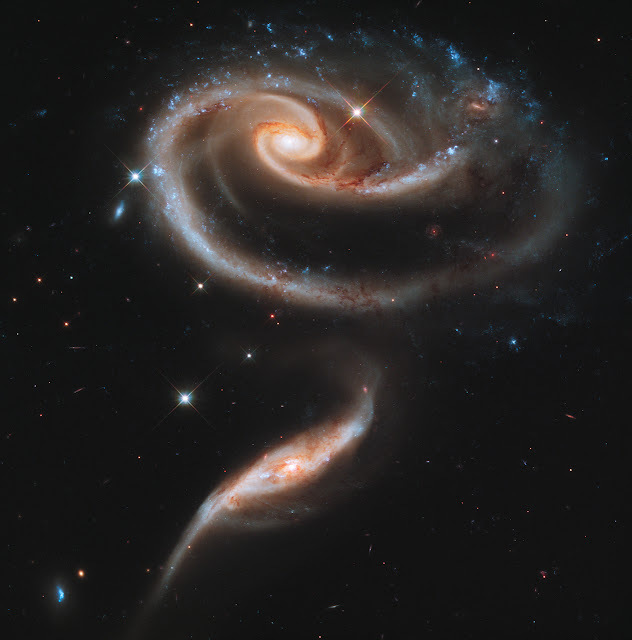 In celebration, STScI released a special image. "For 21 years, Hubble has profoundly changed our view of the universe, allowing us to see deep into the past while opening our eyes to the majesty and wonders around us," NASA Administrator Charles Bolden said. "I was privileged to pilot space shuttle Discovery as it deployed Hubble. After all this time, new Hubble images still inspire awe and are a testament to the extraordinary work of the many people behind the world's most famous observatory." "Hubble is America's gift to the world," Sen. Barbara Mikulski of Maryland said. "Its jaw-dropping images have rewritten the textbooks and inspired generations of schoolchildren to study math and science. It has been documenting the history of our universe for 21 years. Thanks to the daring of our brave astronauts, a successful servicing mission in 2009 gave Hubble new life. I look forward to Hubble's amazing images and inspiring discoveries for years to come."